Chording is a little technical so if you are new to handbells, I'd hold off on chording until you are more familiar using them with melodies, descants and obbligatos You can get more details on how I use handbells in primary more in general HERE (also where to buy them). If you want to make your own charts NOT using chords, check out my post HERE. Using the handbells while playing the chords is a great way to add more variety to the handbells in singing time! If you don't have a pianist, this would make for a great way to have the primary kids help accompany any song as well. 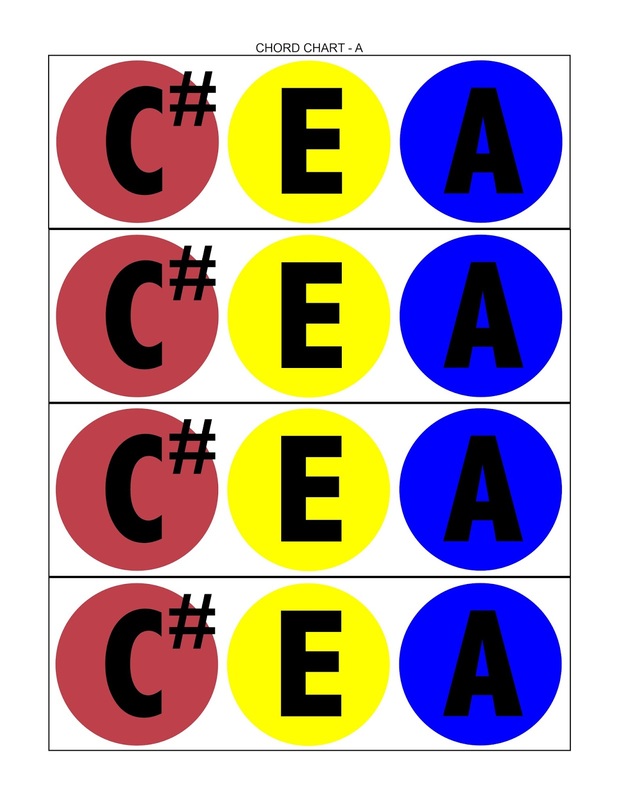 I've created a make-your-own handbell chord charts using the handbells (please note that this is for the Kidsplay brand only which is the brand I HIGHLY recommend). You could have done this using my make-your-own handbell charts HERE but now I've done the hard part for you by putting the notes into chords. You're welcome :). The Kidsplay brand only has # (sharp) notes so all the♭(flat) notes in the charts are connotated by the equivalent # note (that may make sense to no one but me!). Now you can play ANY song using the handbells in the songbook using these chords! I use any/all handbell octives as my main objective is to get as many kids playing as I can. I've created a page for each chord all found HERE (52 pages!). 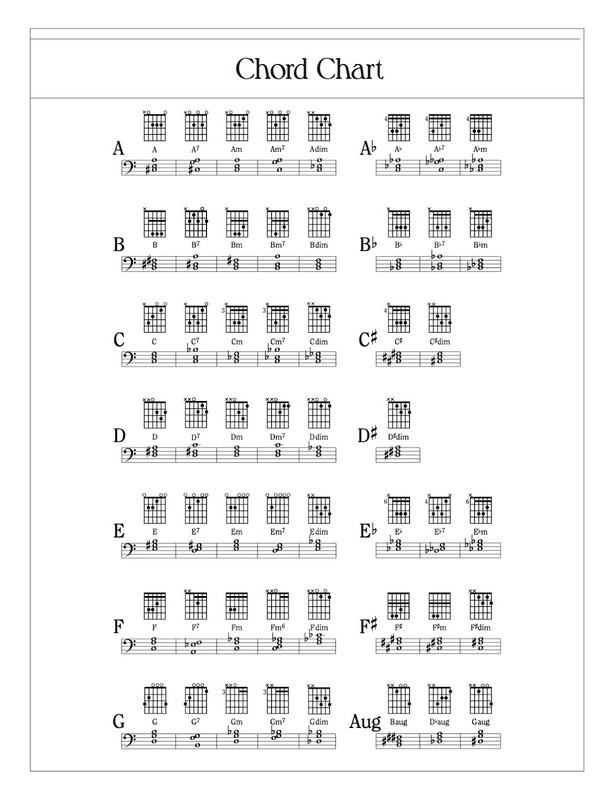 You can print the chord pages you need, cut out each row and mix and match as you need for any bell chart you are trying to create for any song! Each box of 3 notes is played at the same time creating the "chord"
If you want to create your own chart digitally, I've created each chord as it's own individual digital PNG file that you can insert into any document. Find them HERE. If you use these charts somehow, I would absolutely LOVE to see how you've used them! Leave a comment that you'd like to show your chart and I'll reach out to you to get the picture of it posted here. Also, PLEASE let me know if you find mistakes (oh the horror!). Thank you so much for this valuable blog post! 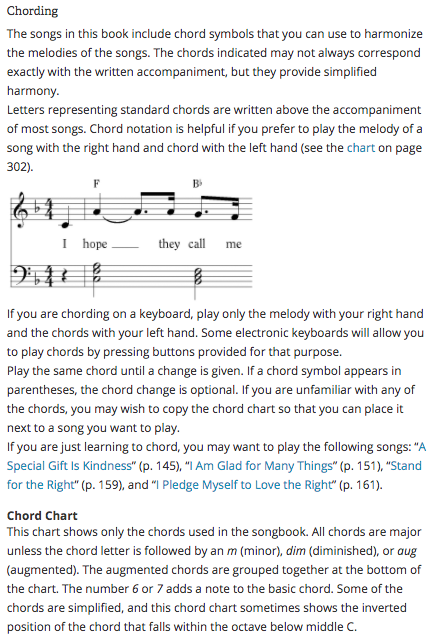 My Primary kids are going to be so thrilled that we can play hand bells with all of our songs now with these instructions on how to make your own chord charts. Thank you! Thank you! Thank you! I used your chord images to create a chord bell chart for Once There Was a Snowman today for Jr Primary. They loved it! Thank you!